Already planning your adventures for the year (if yes, I like you style!) and trying to figure out the best backpacker destinations of 2019? Who better to ask than a bunch of travel bloggers? I asked a few of my globetrotting friends what their must see destinations of 2019 was and what resulted was a huge array of places – from beaches to cities, well worn travel paths to off the beaten track destinations. One of the best backpacking destinations (and probably the easiest country to visit in Africa) is Morocco. 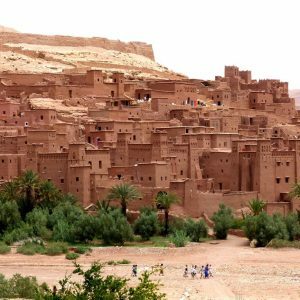 While Africa is known to be rather rough and difficult for backpacking compared to other continents such as Asia and South America, Morocco became increasingly popular and touristic in recent years, especially thanks to cheap flights from Europe. However, despite all the tourists, the country still doesn’t fail to provide an exciting cultural experience and a glimpse into life in Northern Africa. While the touristic centres such as Marrakech can be a little bit tiring due to the touts and hassle, Morocco offers plenty of exciting places as well as beautiful and untouched landscapes and nature as soon as you leave the cities. A big highlight is also a tour into the Sahara Desert, which I can highly recommend to every visitor. Luckily, backpacking Morocco is also very affordable, since a bed in a dorm will cost you less than 10$. Even for my 3-day trip into the Sahara, I only paid 85$ including transport, accommodation and meals (please note that haggling and bargaining is certainly needed). 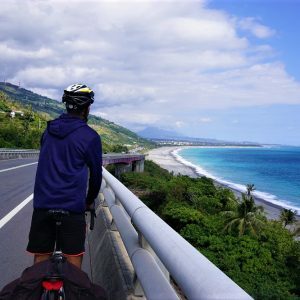 Taiwan hardly comes across as a ‘backpackers mecca’ or a budget-friendly destination compared to its South-East Asian neighbours. If you don’t mind splurging a bit in exchange for clean streets, exciting adventures (just like how I cycled the east-coast highway for 8 days), and a thrill of exploring the gorges and mountains, you’ll be in for a treat. You can easily budget $25-30 per day to include food, accommodation and activities. Make your trip a memorable one by visiting the Taroko Gorge National Park in Hualien. You can rent a motorbike in the city and ride to and around the gorge. The 19km long canyon makes it a perfect stop for adventure seekers. You’ll traverse through cliffs, tunnels and forests, and even stop for a dip at the hot springs. If that’s not enough, head to Taichung, the gateway to the mountains in Taiwan. Stay in N Joy Hostel for $13 and get the hostel hosts to show you all the hidden waterfalls, night market and other finds. If you haven’t already visited Montenegro, then you should book your ticket as soon as possible. This little country in the Balkans, sandwiched between Croatia and Albania, is becoming more and more popular, and a huge influx of foreign investment means it’s likely to change a lot in the next few years. For now though, Montenegro offers a tempting mixture of beautiful coastline, wild landscapes and medieval cities that look and feel like mini-Dubrovniks – with less summertime crush. Getting around, accommodation and food are all cheap and easy. There’s plenty to keep you occupied in Montenegro for a week or two, but as a minimum look to stay for at least three days, basing yourself in Kotor. Kotor itself is both picturesque and interesting (make sure you climb the city walls to the fortress at the top), plus it has a well-connected bus station for day trips further afield. 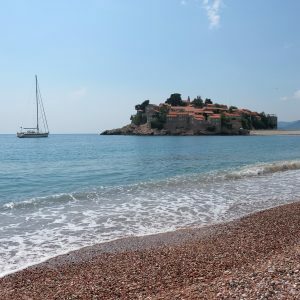 One unmissable day trip is to Budva, where another short bus ride will take you to stunning Sveti Stefan, a former fishing village attached to the mainland by a slender peninsula that’s now an ultra-luxe resort. Only guests can go onto the island, but it’s free to take in the views from the gorgeous pink-pebbled public beach. With a little more time in Montenegro, you could explore the mountains which give the country its name, or visit the capital Podgorica. Compared to other countries through Asia, Myanmar is a quieter option for budget travel. However, being less visited doesn’t mean there’s a shortage of things to do throughout this colourful country. 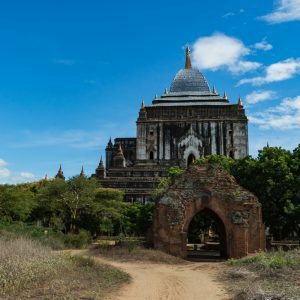 Bagan is an unforgettable attraction with over 2000 temples, stupas and pagodas Grace the flat plains. These ancient structures have ensured test struggles throughout history including devastating earthquakes. If you’re up for an exhausting trek, Kalaw to Inle Lake provides stunning rolling green vistas along with unmatched insight into life throughout rural Myanmar. Accommodation is included in the cost of the affordable 3-day trek through farms and never-ending rice paddies. Not only does your knowledgeable guide give a one of kind insight into the culture and life, but you’ll also stay with a local family along the way. Myanmar is very affordable to travel. Many hostel beds can be found for under $10 USD per night, and if travelling in the rainy season, often much cheaper. There’s plenty of memorable glittering golden stupas to visit through the country and experiences like no other. For a top contender in best Asian countries to backpack around, Myanmar should be on every traveller’s short list. If you are looking for a great backpacking destination for 2019, Germany should not be overlooked. Sure, you might be familiar with the classic stops like Berlin, Frankfurt, and Munich – but Germany is absolutely jam packed with smaller cities and towns full of authentic German culture. Another reason we love exploring Germany is because there is such a diverse landscape – from the mountains in the south to the coast in the north. 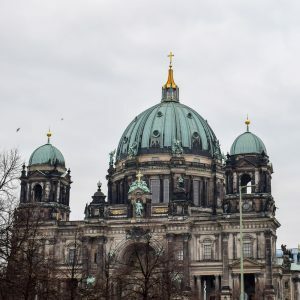 The cities are great for walking tours and nightlife while smaller towns and castles are great for learning about parts of Germany’s history. Germany is full of different accommodation styles that suit lots of different travellers. Backpackers can get their fill of outdoor cabins tucked away in nature, bustling “hostels in the bigger German cities”, or seaside cottages along the coast. Prices are generally very reasonable for classic hostel-style accommodation. Depending on the region you travel to, the food and beer will be different allowing you to experience different sides of German culture wherever you go. Spain is an amazing destination for backpacking. Just some months after my first backpacking trip there I decided to even move to this wonderful country. The food can be quite different depending on which part of the country you are in – so are the prices. While in Andalusia in the South everything is pretty affordable compared to other European countries, food and accommodation in the more northern cities, such as Madrid and Barcelona can be quite pricey. 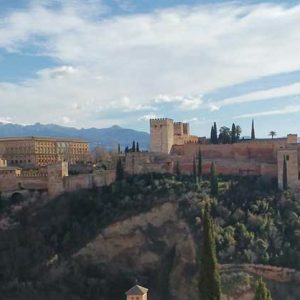 However, you shouldn’t miss these two cities anyway because they are both definitely two of the most beautiful cities I’ve ever seen.Another wonderful city which should be on your Spain Bucket List is Granada. You’ve probably heard of the Alhambra before which is the main attraction of this town. With its Arabic influences, it’s an amazing thing to see. Jordan is an easy country to fall in love with. It has to be one of the most under-rated backpacking destinations in the world. It is a land of ancient history, rugged mountains, red deserts and an incredibly friendly and welcoming culture. You expect to be wowed by Petra, and it doesn’t disappoint, but the lesser known destinations are equally magnificent. It’s a fantastic country to travel around because the journeys between key sights are very small allowing you to see a lot in a short amount of time. In the same day you can go from floating in the Dead Sea to sleeping under the stars in Wadi Rum desert. The most famous site is of course Petra, an ancient city that was home to Bedouins but unknown to the rest of the world for centuries before a Swiss explorer stumbled upon it in the 19th Century. Other adventures to be had include Wadi Mujib where you can wade through a stunning red canyon filled with bright blue water, or hike to spectacular viewpoints in Dana Biosphere Reserve. 2019 is the perfect time to go backpacking in Jordan with budget airlines having recently launched several new flight routes from Europe to Amman, making it cheaper than ever. In the major cities you can get delicious local food on the cheap and if you visit in low season, you’ll be able to haggle for cheaper accommodation as well. Make sure you purchase the Jordan Pass online before you go to save money if you are planning to visit several of the main attractions. 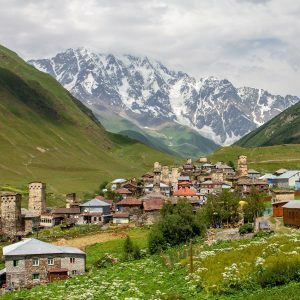 Sandwiched between Europe and Asia, Georgia is one of 2019’s hottest backpacking destinations. Located on the historic Silk Route, neighbouring Turkey, Armenia, Azerbaijan, and Russia, Georgia is a cultural melting pot, that has one jaw-dropping landscape after another. From Tbilisi’s cobbled streets to remote Caucasus mountain villages, ancient cave cities, and dramatically situated stone churches, Georgia may sound like a bit of a guidebook cliche, but it’s quite justified. More important for budget travellers, Georgia represents fantastic value for money. A backpacker’s budget goes a long way in Georgia – affordable accommodation is plentiful and prices are still relatively low, and the homestay style options available in many parts of the country are well suited to backpackers and independent travellers. A private room for two can cost less than 15 euro a night and, unlike some countries where a backpackers budget restricts you to uninspiring fast food options, delicious Georgian cuisine doesn’t break the bank. Staying with locals is also the perfect way to experience Georgia’s famous chacha fuelled hospitality! For adventurous travellers, Georgia is a fantastic diversion on the overland journey from Europe to Central Asia. Getting around Georgia on local transport is easy for travellers with an adventurous spirit – a challenge that most backpackers will happily rise to. Georgia is on the cusp of making it big as a mainstream tourist destination, but for the time being, Georgia is an exciting off-the-beaten-path adventure. Get there soon! There’s a reason most gap year tours begin in Thailand. Despite having a culture of its own, the country is familiar and affordable at the same time. In recent times, cities like Chiang Mai have even emerged as the top destination for digital nomads. 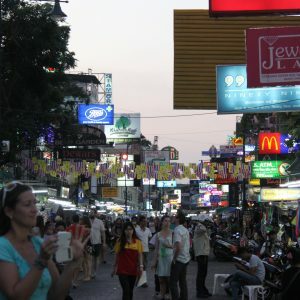 Most of this is down to the cheap cost of living almost anywhere in Thailand. The other factor that works in Thailand’s favour is the diversity of its landscape. The north is full of tribes and mountains, central Thailand is for history lovers while the South is tailor-made for beach bums. 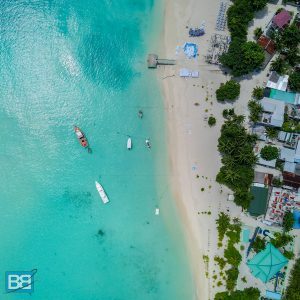 I travelled across the country and found that even in popular jaunts such as Bangkok, Phuket and Krabi, you can travel for cheap. The tourist infrastructure is pretty solid across most of the country as well. Decent guesthouses can be had for as little as $20 per night with day trips and sea activities costing around $25-$30. And I haven’t even started on the awesome food that can cost as little as a couple of dollars. Thailand is a country that has the potential to assault your senses with its history and nature and will yet never feel threatening thanks to the high number of foreign tourists and digital nomads scattered all across the country. If you’ve never travelled outside your own country and are looking for a budget destination you can hardly do better than Thailand. Guatemala is a backpackers paradise. It’s easy on the eyes and wallet and has so much to offer from ruins to volcanos and coffee to colonial towns. Whether you only have a few days or a month, you won’t run out of awesome things to see and do. Accommodation ranges in cost based on where you are and travel style, of course, but I found hostels starting at $4 USD per night in San Pedro on Lake Atitlan and it went up from there. I would say an average hostel around the country would be closer to $10 USD. Some of the things I loved were climbing Volcan Pacaya and roasting marshmallows, wandering the streets of Antigua, walking up to Cerra de la Cruz in Antigua, swimming through Semuc Champey, climbing the ruins of Tikal, swimming in Lake Atitlan, and wandering through the markets in Panajachel and Antigua. And those are just the things I did. 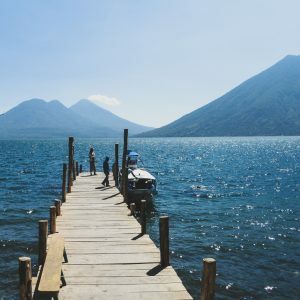 Some other awesome things to do in Guatemala are camping on Volcan Acetenango, relaxing on the beach in Monterrico, seeing ruins in Rio Dulce, and trekking in the jungles near Flores. Guatemala was my favorite country in Central America and I loved so much about it. Everything listed above, plus it was easy to get around, everyone I encountered was friendly, and it’s just beautiful. It’s the country in Central America I want to get back to the most. Known for its great weather, beautiful beaches, and laid-back lifestyle, Portugal is always a popular destination with backpackers. Despite being in Western Europe, it’s still incredibly affordable – particularly if you travel outside of the popular summer months. Even in Lisbon, the capital city, it’s still possible to find 3-course lunch menus for as little as €5-10 and often that includes wine as well. Getting around is also very affordable, particularly if you travel by train and book in advance. Accommodation isn’t always as cheap: a bed in a dorm room typically costs between €10-20, but there are still a few places where you can find a bed for as little as €5. As well as a budget hostels, you’ll find hostels to suit just about every type of backpacker. 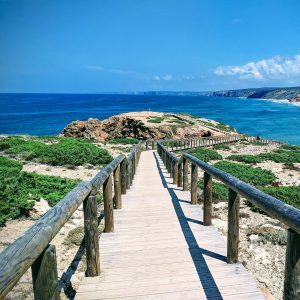 There are surfer hostels in places like Ericeira and Peniche, boutique hostels in Lisbon and Porto, and hostels alongside the beautiful beaches in the Algarve for sun worshippers and partiers. There’s even a wine hostel in Porto that caters to Port lovers. Regardless of what type of trip you’re planning, Portugal has restaurants and accommodation to suit just about every need and budget. Sri Lanka has many nicknames, but one of my favourites is ‘Miniature Asia’ – the island offers many quintessentially Asian experiences like beaches, surfing, temples, elephant safari, trekking around tea plantations and super-scenic train rides, all within a relatively small surface area. That’s why I think Sri Lanka makes for a wonderful backpacking trip, especially for those backpackers that don’t have months and months to roam around South East Asia and just want to get a taste of backpacking life for two weeks or so. It’s easy to get around the country, with local number-coded buses plying every road of the island, and accommodation is inexpensive – we’ve seen lots of guesthouses advertising rooms under $5. In terms of food, there’s lots of street food to be enjoyed, and a simple vegetarian rice and curry in a local restaurant would cost less than a dollar. 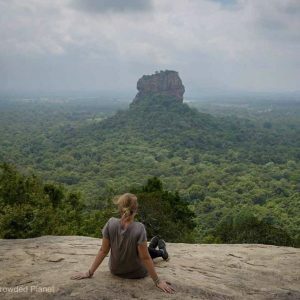 The only thing in Sri Lanka that can really blow a backpacker’s budget are entrance tickets to attractions – for instance, accessing famous Sigiriya fortress costs $30, but you can visit nearby Pidurangala, which has far fewer people, for only $3. However, don’t let Sri Lanka’s size fool you – the island is small, but there’s a lot to see and do! Singapore is not cheap. It’s usually top of the list of most expensive cities in the world and after watching Crazy Rich Asians, you’ll understand why. Yet what a lot of people don’t know is that it is possible to do Singapore on the cheap. Let’s start with accommodation. Cheap places to stay in Singapore include the Hotel 81 or RedDoorz Hostel chains. They range from fairly nice to outright uncouth, yet start from around US$15/night. The cheaper areas are also the more culturally diverse with less Western expats, so to me it’s a nicer experience. Places like Geylang, Little India and Chinatown have some of the most unique characters. One other option is to do a one day layover and take the free Changi shuttle bus for a day tour. Just sleep on the plane or at the airport. Some of the best and cheapest foods are hidden away in the various Hawker Centres around the Little Red Dot. The melt-in-your-mouth braised pork soup at Sen Sen in the Golden Mile complex is world class and super cheap. And there’s even the world’s cheapest Michelin starred restaurant – national dish chicken rice for S$2 at Liao Fan Hong Kong Soya Sauce Chicken Rice & Noodle. 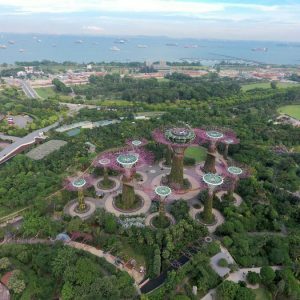 There is also an endless list of things to do in Singapore on the cheap or even for free. This includes activities like hiking the elevated walk at the Southern Ridges, the Super Tree Light Show at Gardens by the Bay, exploring the rooftops of shopping centres in Orchard Road, free meals at Kong Meng San Phor Kark See Monastery, browsing the graffiti in Haji Lane or concerts at the Esplanade. You will not be bored and your wallet will feel light. Hungary is exciting for so many reasons. A landlocked country in the middle of Europe, it has a distinctively unique culture and language that set it apart from the rest of the continent – and it is definitely a backpacker’s paradise to explore. 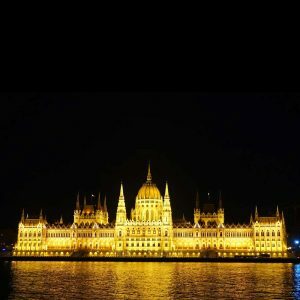 The cost of traveling in Hungary is still relatively cheap, and it makes sense that it is one of the most popular destinations in Europe. There are many exciting small towns and villages in Hungary, but the obvious starting point would be the capital Budapest. Budapest offers so many world class attractions options, starting from the Budapest Thermal Baths, grand history and architecture and even beyond to its underground caves, there are plenty to do for everyone. Grab yourself the Budapest Card, the official city card to save you some money. It gives you free rides by public transportation, as well as free admissions to Budapest museums and attractions, and discounted rates for others. Budget hostels and guesthouses are plentiful in Budapest – expect to pay USD10-20 for bed in hostel dorms, such as the Baroque Hostel or Maverick Lodge Hostel. As a backpacker turned local, I love the Netherlands. 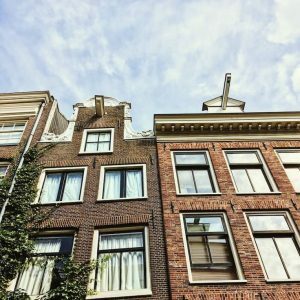 Although the Netherlands isn’t the cheapest place to travel (compared to non-European countries), frugality reigns. Public transit is great, so you don’t need a car to easily get around although biking is fun in itself (in addition to a great way to get around various Dutch cities). There are plenty of activities that don’t require an admission fee, including browsing the markets, exploring the city on foot, and smaller museums that won’t kill your daily budget. You should expect to pay between 20-50 euros per night for a room at a hostel. Amsterdam is on the high-end. (50 euros can pay for a budget room for two.) In terms of affordable food, lunch in the Netherlands is generally pretty affordable (3-6 euros) although dinner can be more pricey. There are lots of great takeout restaurants (called tokos) within the Netherlands around dinner time where you can get a filling dinner for as little as 10 euros with a drink if you know where you to look. Similarly, most bars often have a tap beer, so if you’re looking for a cheap beer, you can expect to pay as little as 3 euros for a Heineken (or another similar beer). 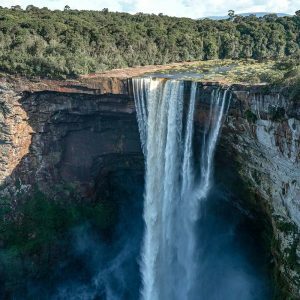 Generally overshadowed by more popular backpacking destinations in South America, the small country of Guyana is starting to emerge as one of the hottest travel locations for 2019 and beyond. With a Caribbean vibe, and the rum that goes with it, Guyana is a laid back, adventure backpackers paradise with a range of exhilarating activities to explore. After landing in the capital of Georgetown, spend a couple of days familiarizing yourself with Guyanese culture, which is worlds away from the rest of South America. Explore the local markets and sample local dishes, with their unique blend of Indian influence and Afro-Caribbean flavors. Georgetown offers some cheap backpacker accommodation option for as little as $35 a night for a four person room at Armoury Hostel. There are a number of exciting tours in Guyana, but one you can’t miss is a trip to the incredibly impressive Kaieteur Falls, just an hour flight from Georgetown. This towering wall of water is located in the middle of the rainforest, surrounded by lush trees and one small airstrip, just long enough to land a propeller plane. From the rock platform you get a perfect view of the falls, and an even better one when the plane makes its way over the water and down the valley. For those looking for a more rugged adventure, head southwest to the small border town of Lethem. From there, take to the savannah on ATVs and 4x4s to discover the picturesque landscapes of Guyana. Spend your nights cooking on a camp fire and falling asleep in a hammock under the brightest stars you’ll ever see! Vietnam should be on everyone’s Southeast Asian bucket list. There are many beautiful sites to explore. A boat tour at picture-perfect Halong Bay is a must. The elaborate tiered rice fields in Mu Chang Chai are stunning. A hike in Sapa to a local village is a great way to immerse into the culture. The enormous Ban Gioc waterfall straddles the Chinese border and is one of the best waterfalls in Asia. The city of Hoi An is an old port city and a fun and lively backpacker destination. The charming old town and beaches in the region are the perfect place to relax. Accommodation in Vietnam is affordable. In the cities, a good guesthouse costs around $13 USD for private rooms. In more remote areas, traditional homestays are the norm. They are comfortable, usually with only a few rooms in the hosts home. A shared family-style dinner is usually included. Rooms typically cost around $15-18 USD. The best part of Vietnam is amazing food. Hanoi is one of the best places to try different kinds of Vietnamese delicacies. Street food vendors stick to their specialties, making one or two dishes. These recipes have been handed down from generations prior and are cooked to perfection. Some of the best dishes are bun cha (grilled meat and noodles), bun rieu (rice noodle soup with tomato broth), and cha ca (hotpot turmeric fish with dill). Vietnam is affordable, fun, and one of the most authentic experiences for backpackers in Asia. Of course! Here are a couple of my favourites that should definitely be added to your list for the year! You’ll have noticed there’s a lot of Maldives posts on the site over the last 18 months and that’s because I’ve fallen totally in love with this incredible country! And I know what you’re thinking – it’s super expensive! Well actually, it’s not too bad when you hit up the local islands. With local meals around $5 and a double, A/C room from around $50 a night it’s not quite the budget buster you thought it would be. So whether you want to snorkel with turtles, learn to scuba dive in The Maldives or even hit up some of the best Maldives surfing there’s plenty to see and do – check out my Budget Maldives Guide to help you start planning! 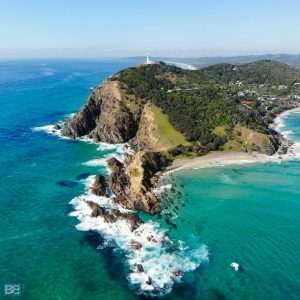 Ah Australia, another one of my all time favourite places and a huge destination for backpackers – and for good reason, the place is jam packed full of adventure! Plus you can also stay for up to a year and top up your travel funds with a working holiday visa too! Click here if you need some help planning your East Coast Adventure – I’d be stoked to help you out! 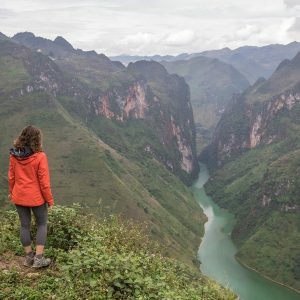 What would be your recommendation for the best backpacker destinations of 2019? And where are you heading!? happy days Cat! What’s on the cards for this year? Thanks for including us in this great roundup of places for 2019. Lots of other fantastic suggestions too! you need to come Turkey. I love it that you’ve included Spain in this guide too! I’ve been living in Barcelona for 11 years now, and I think it’s really great for a backpacker! I’m not sure I agree on it being really expensive though, there are so many places to eat cheap here! The only thing might possibly be the accommodation depending on the season, but there are plenty of options available! Spain really has so much to offer, and the regions are so different from each other, even the foods are totally different from one area to another. I think Guyana in South America is a very cool place for vacation. But what I’m not sure about is the best season to go there. I love it that you’ve included Spain in this guide too! Such a great list and the regions are so different from each other, even the foods are totally different from one area to another. Georgia is so on my bucket list! Have heard from so many people it’s a great place to visit! I wanna experience backpacking! And, I’m currently looking for a good place for a first timer!!! Thanks for the great list!!! !